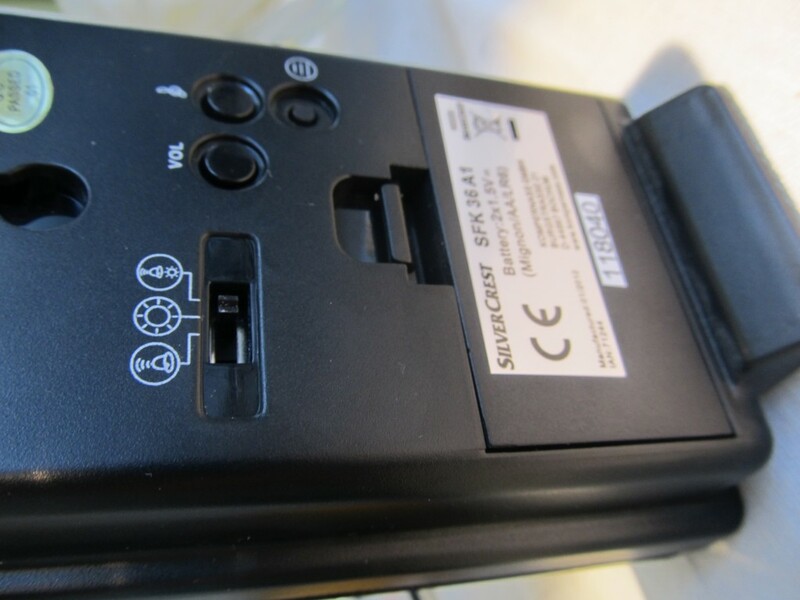 The base runs on 3V, this is really important so that you avoid complicating things with voltage level shifting. 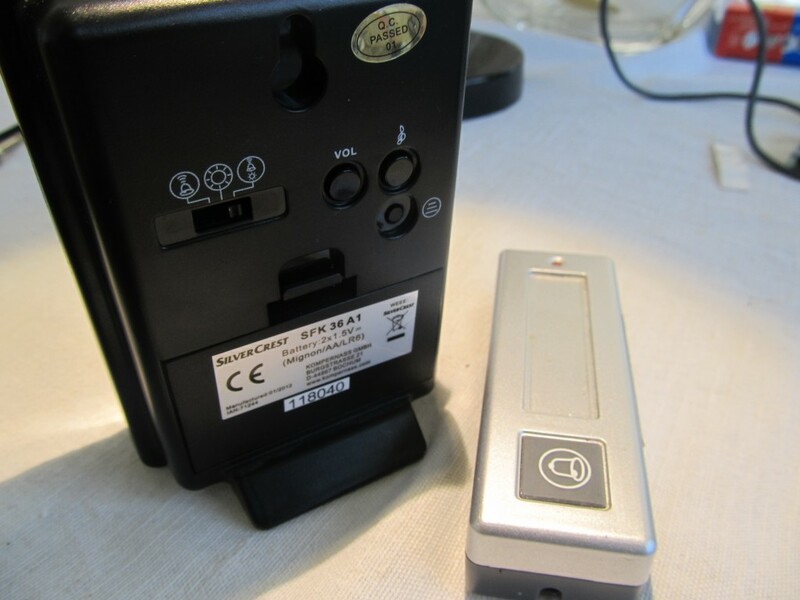 You can easily find out if the base is running on 3V, if it is powered by two AA batteries. 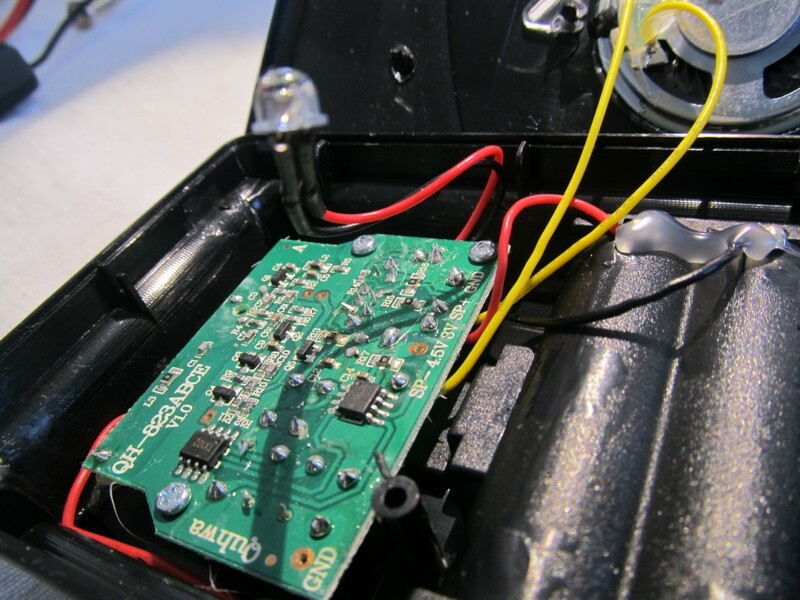 The idea is the following: to tap into the doorbell base’s LED and have a script look for the LED blinking; If it finds it blinking, then someone is ringing the doorbell. We take a picture and email it as attachment. You can then set up a rule in GMail to forward to a email-to-sms service, if you wish, or simply to other email accounts that are connected to your phone, so that you would receive immediate notification. So lets get hacking. I took my wireless doorbell apart, that was a bit tricky because there were no screws. Mine just snaps together and I had to use a flat screwdriver to snap it open. It pulses (actually the pulses depend on the chime chosen) at 2V with some PWM. I thought the PWM may cause troubles, and was prepared to make a low pass filter to remove it, but then it turned out not to be a problem. 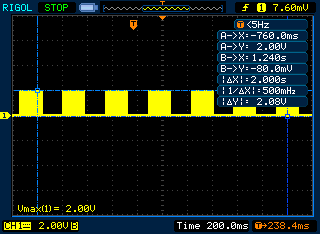 The reason we needed a 3V base is so that this captured signal doesn’t exceed Raspberry Pi’s 3.3V limit on GPIO pins. A 2V signal registeres as a ‘HIGH’, so we are perfectly good. You don’t need to repeat this step, this is just for my own verification. 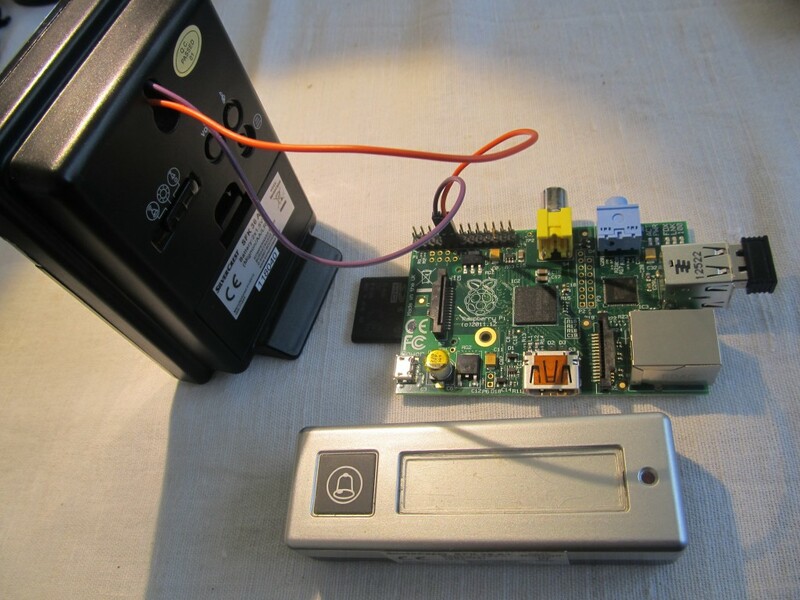 Next, create a python script that will watch the state of GPIO pin 17 and take some action when the doorbell brings it to ‘HIGH’. Script for this was taken from here. To have this run upon booting, we need to edit /etc/rc.local (as root since this is the owner). it great!!! thanks for shared!! I found the python script that waits for the input to use too much of the CPU. Instead I’m using a simple shell script based on the wiringpi commands. Now my cpu is back at 99% idle. See below. when I try it it says gpio command not found? I also noticed the high cpu usage and wanted a way to do it better, not sure why bash handles it better here but it would be nice to implement!. Never mind I found a way that uses the python code and the cpu is only at 8-10%. #I used the pull_up_down=GPIO.PUD_DOWN because I do not have a 220 ohm resistor currently and it seems to work just fine. #added a time.sleep(0.02) which is 2ms to let the cpu breathe and maybe do something else, this is what brought my cpu down. #os.system(“fswebcam -r 960×720 -d /dev/video0 /home/pi/webcam.jpg”) #commented out as I do not have a webcam currently. I haven’t been able to find a door bell that has the LED. Do you think I could use the speaker output for the trigger? I actually don’t even need the door bell to make any sound because I want to use this as kind of a “panic” button. When someone pushes the button, I come running. 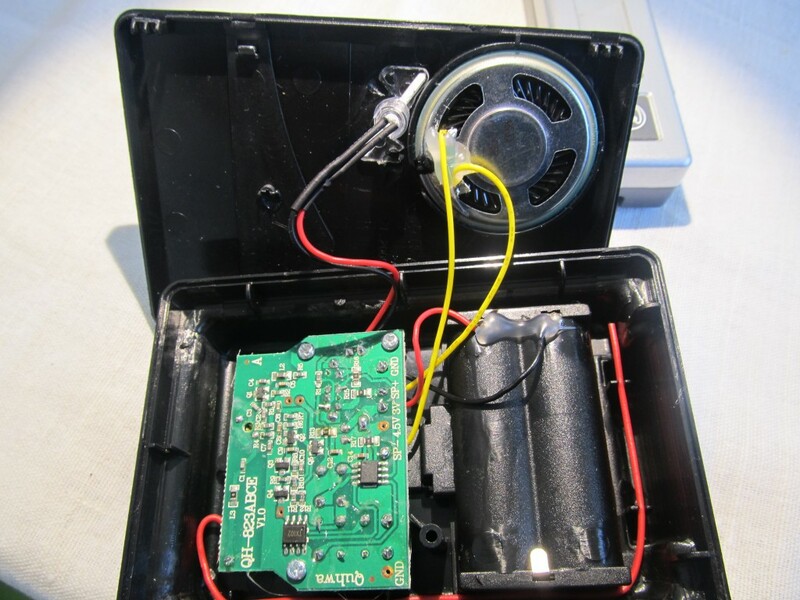 I did not use a wireless door chime in my project, I used a simple doorbell button and a battery enclosure from radio shack (part 2700408) it was like $2 put two rechargeable batteries in it (1.2 volt each so 2.4 or 2.7 in my case) wired it in series with the doorbell button and hooked up to the Pi and slightly modified the code which I posted above for the wait_doorbell.py program. It works great for me! Now all i need to do is make it look a little prettier than it currently is! In order to bring the cpu usage down even lower and to improve the python loop you can use interrupts with the gpio on the raspberry pi. I did this and it worked great. Skipped the webcam stuff I just went for logging and had my door chime be an MP3 file played on another pi in the house, great… BUT… then I decided that i wanted to tidy the whole thing up and rip the doorbell receiver to pieces and package the thing inside the pi case (or similar)… I needed to lose the batteries in the receiver unit… So (maybe stupidly) I figured I could use the Pi 3.3 volt pins to power the receiver unit instead of the batter pack. I tried it (took 3v positive and ground from the Pi to the receiver unit battery terminals to test). But then it went nuts, detecting false rings constantly and stuff. Any idea why my plan didn’t work? Possible to power the recevier circuits from the Pi itself ? 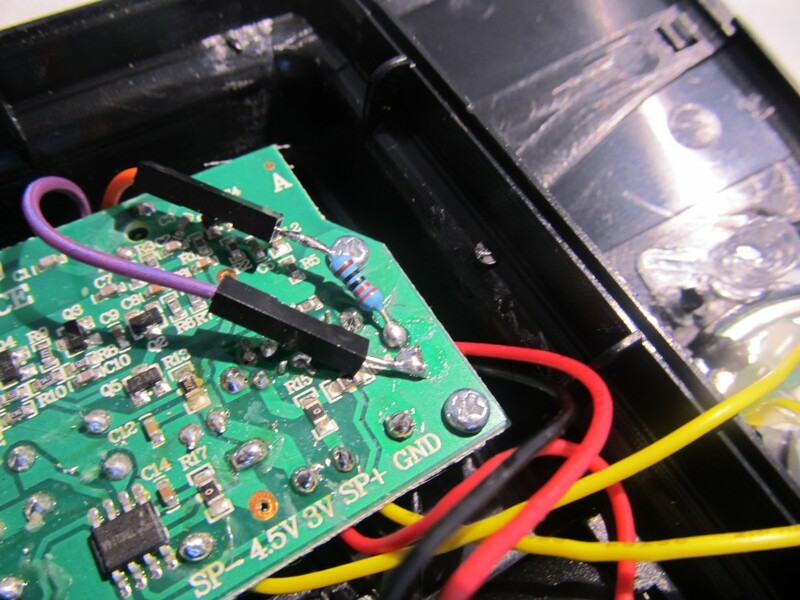 The 3.3V power pin on the Pi may not have enough ‘juice’ to power your receiver, it can only source up to 50mA and the receiver may require more than this. Thanks for your nice tutorial. Works perfect for me! I’d love to replicate this in my home. I currentyly have a wired doorbell rather than wireless. I’ver had a look and the doorbell contains a 9v battery wired into a mecahnical strike that hits a plate when the button is pressed. How would I wire this up to a Pi without damaging it? Use an optocoupler rated 9V or more, I use Sharp RC817 mostly when I need to do something similar. It’s been almost 30 years since I had to play around with resistors… Man… As a kid I used to know the colours off by heart. I think I’ve solved the problem for me with 3 x 3.3K resistors in series, and then placing the series in parallel with the doorbell strike which had a measured resistance of 6.5 ohm. I’ll tap off one of the resistors to give me no more than 3v. Seems good using the multimeter but still have to wire it to the pi and test. First of all thanks for sharing this great tutorial! I’m new to all this, but got it working very fast with your help. But there is one little thing that is annoying me. The LED of my doorbell is blinking about 5 – 6 times by pressing the button… And because of this i will recieve 5 notification emails everytime i press … How can i solve this? Make a 10 second sleep after sending the email. Google on debouncing. Just added time.sleep(10) to the end of the wait_doorbell script… but still the same… did i something forgot? 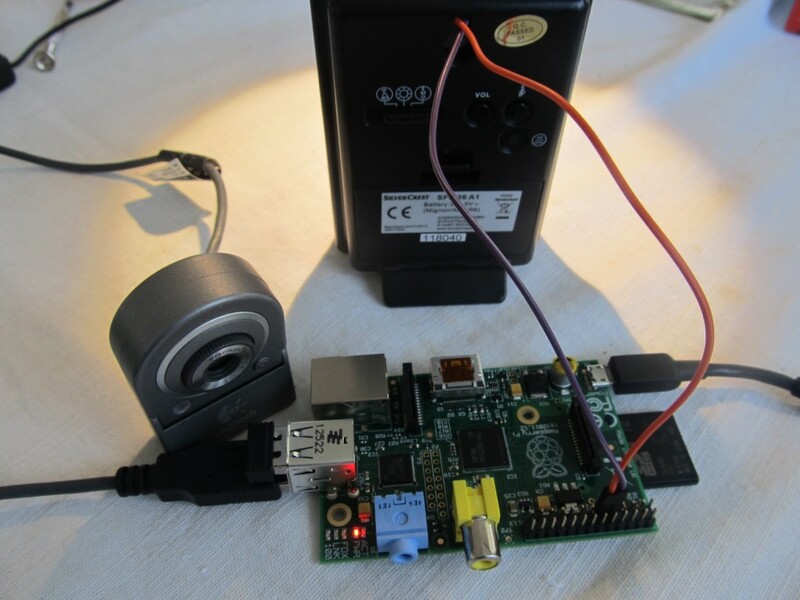 I was just wondering what should i alter in this coding, so that i could use a pi cam instead of a web cam. Secondly, what should i alter to make my pi cam capture a frame, while making a video, with this setup. I am actually trying to combine two projects, so that i could see video, and when the signal goes it takes one of the frames from it. I have a project in hand and helped me a lot, but I have a question. 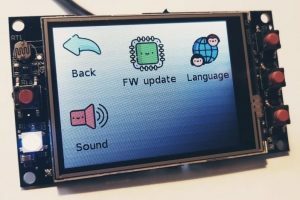 what I need is that by clicking on a button, send a picture to mail, well that’s solved, but I need to do with the camera rpi module. Thanks for the post. This is an excellent idea. My idea was to also record some random messages on the pi and then “respond” with these messages so it would seem as if someone is home for those who use this as a test before they break in. I have the wired telephone style doorbell. There is about 5.5VDC permanently on the wires to the outside unit. 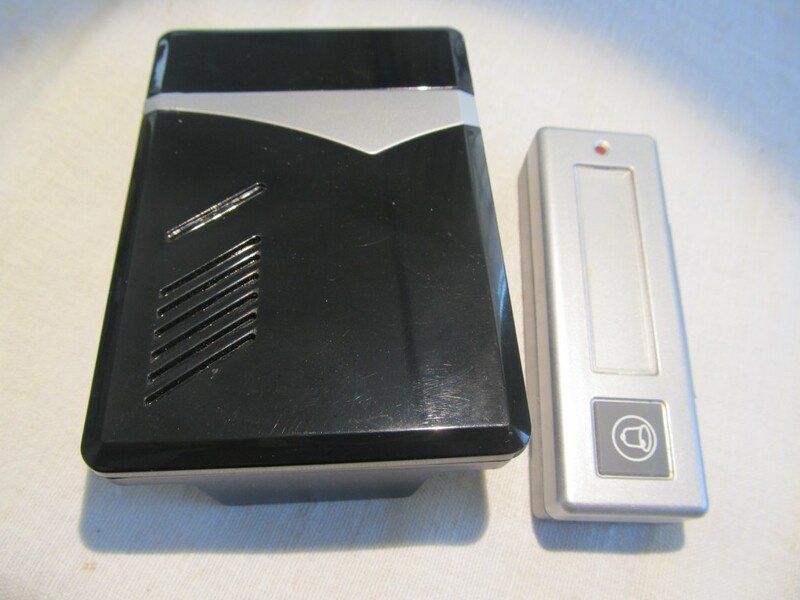 When the doorbell is pushed it drops down to 3VDC or below depending on how long the button is held in returning to 5.5VDC when it is released. Then when the handset is picked is picked up it goes up to above 7VDC. So my button light is on permanently. I was hoping to not to have to take the unit apart but simply monitor the wires for the “signal”/button press. Would this be possible given the working of my unit? 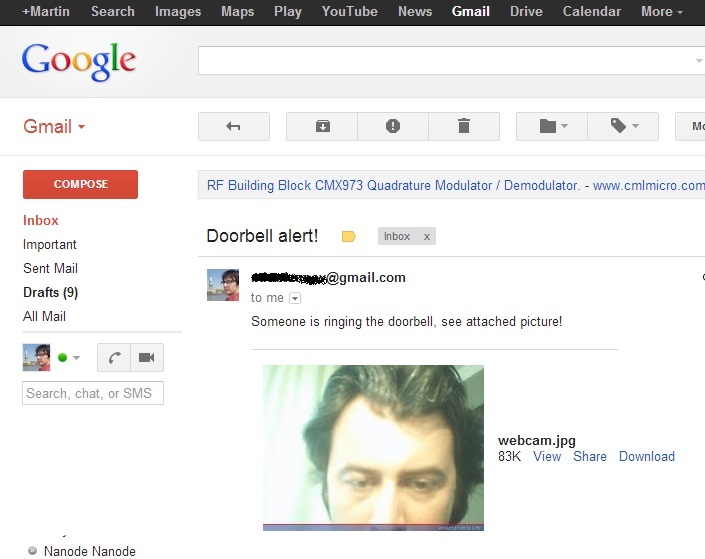 The alternative would be to use it to trigger the alarm input on my DVR so it emails the CCTV camera images to me. It can handle up to 24V but I think expects a NO state which is the exact opposite of what I have. So would need to solve the trigger mechanism anyway.